Are you ready for something funny and weird at the same time? Well, I'm here with a funny story how I first met peel off lipsticks. My friend Laima got these on Ebay and she gave two of them to me. I must say they were real cheap. 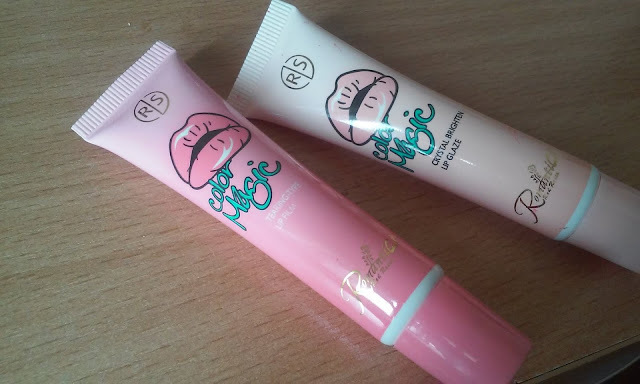 An 1 euro for six different tubes.Anyway, when Laima gave me these I was really excited to try these and now I will share my experience with you all. So you don't make the same mistakes if you ever try these. Cute little tubes with 16 grams with the sticky lipstick. I got the tones tearing type and crystal brighten. Also, these ones has a really nice smell...like cherries. Remind me my childhood. So when I first tried these I didn't think of looking online how to apply these or something. I just wanted to try them faster. Turns out it was a really really bad idea. I applied the darker tone and covered my whole lips with it. After some minutes when it finally started to dry I noticed that my teeth all are bright red. Time to panic. I washed all the lipstick off and cleaned my teeth for like 10minutes.Turns out, everyone who try these experience teeth colour changes at first time. So basically I looked like I had been punched in the mouth. The secret is that you skip your inside lip and don't apply lipstick there. Or you can apply it the second time when the first is dry. 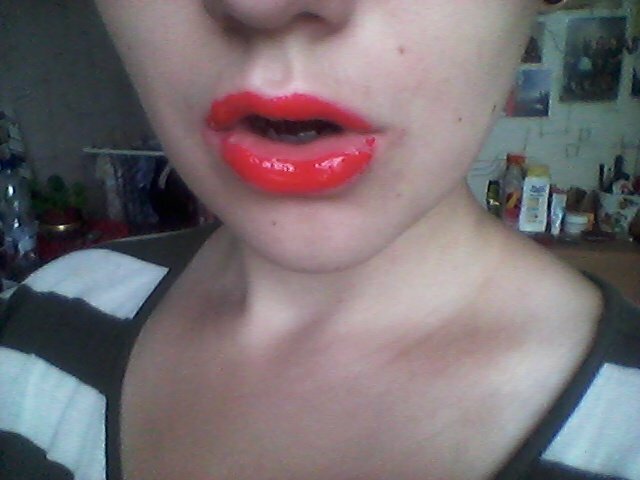 I must say that feeling when you just apply this lipstick is horrible. My lips became itchy and irritating. I must say it looks absolutely horrible on this picture, but in life it looked much better. Also, as it dries you are not able to talk normally and the best probably is to keep your mouth open so your lip don't stick together. I'm not really sure how long you have to wait till you can take it off, but I waited like 10 minutes and then it was really easy to take the lipstick off. Believe me, 10 minutes without normal talking for me is really really hard. Not quite sure how I endure it. You have to be really careful while taking the lipstick off because sometimes there can also be bleeding and skin coming off too. 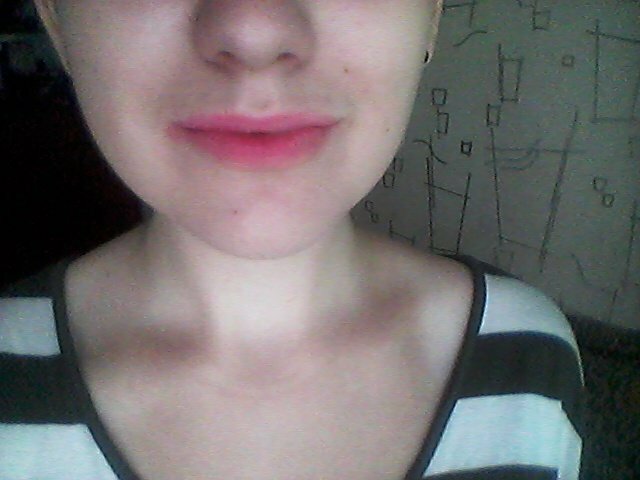 For me all was good and it left a cute pink tone on my lips. To be honest, I was a bit disappointed that the tone after taking it off is so pale.But the good thing about this is that this lipstick stays at least 12 hours on your lips. It was still there also after I liked my lips, drank coffee, ate or tried to rub it off. This is definitely not the right lipstick for busy girls because it really takes a lot of time and patience , but why not to try it sometimes just for fun? And you can have a natural looking lipstick on your lips that stays in place no matter what. Just remember to not make the same mistakes I did and then all will be good.